In one of our recent collaborations, The Lifestyle Portal and The Mountain Walker team packed our bags and headed straight up to Nainital and beyond to a beautiful mountain countryside called Mahrora Village. It all started with one chance message between The Mountain Walker team and Shagun Singh, the Founder of Geeli Mitti. We were all in different parts of the country – Shagun in Mahrora Village up in Kumaon Hills, the Mountain Walker team in Spiti in Himachal Pradesh and The Lifestyle Portal in Mumbai. The universe and the stars aligned, and the next thing we know, we ganged up to meet Shagun and explore what Geeli Mitti and the hills of Kumaon had to offer to us. In our five-day stay at Geeli Mitti, we discovered a whole new world that existed parallel to ours and I got to interact with the one and only Shagun – my new source of inspiration. It has been a truly overwhelming experience in every positive sense to meet such a wonderful person. We spoke with Shagun about her visions and dreams about Geeli Mitti, her journey from the corporate world to here. A lady so passionately driven by her vision to make the world a better place does not like to associate ‘investments’ in monetary aspects. However, her investments in such a unique venture were all her savings, her energies, visions and all that it took to set up Geeli Mitti. She sold her worldly possessions, her house, her car and put it all into Geeli Mitti. How does Geeli Mitti work? 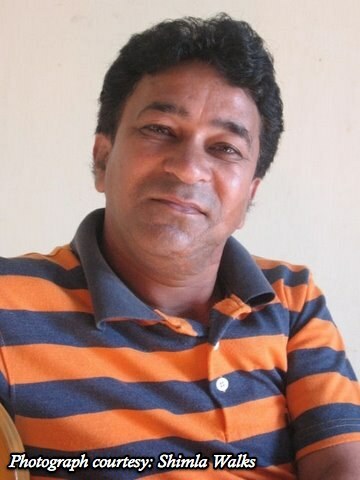 It’s a unique concept – Geeli Mitti is a longing for the earth, a calling to go back to our roots, an affirmation towards earth care and repair. It teaches the very learnings of living harmoniously with the natural energies and cycles we’ve had since time immemorial before we as a human race tragically evolved into corporate animals. The saddest part is, the knowledge is known to humankind from time immemorial, yet we chose to ignore it and with efforts from people like Shagun, thankfully it is getting revived again. This place is a home-coming for those who’re fed up of the rat race, who want to break free from the shackles of a 9-5 job, and who want to have a more meaningful purpose to life and living, in whatever way they can. But how did Shagun actually manage that? She combined sustainable living with in-house workshops that allowed volunteers and participants from across the country and the world to sign up and start building hand-made homes over a period of 10 to 45 days. What happens after that? Well, it is difficult to describe, we spent barely a week there and came back with a whole new meaning to self, purpose and life in itself. The very fact of getting down and dirty in the mud pit, using a shovel and digging up the earth, sawing away planks of wood and creating masterpieces out of the earth, for the earth – is something surreal. 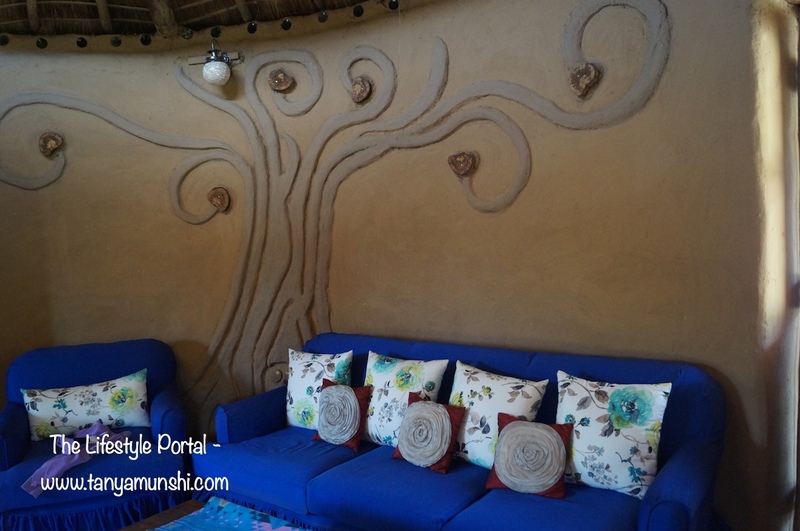 Here Shagun teaches the concepts of earth homes that have evolved through globally acclaimed and tested techniques – from the Earthbag Golghar, The Cob Car Cottage and the Bamboo Loft to so much more. 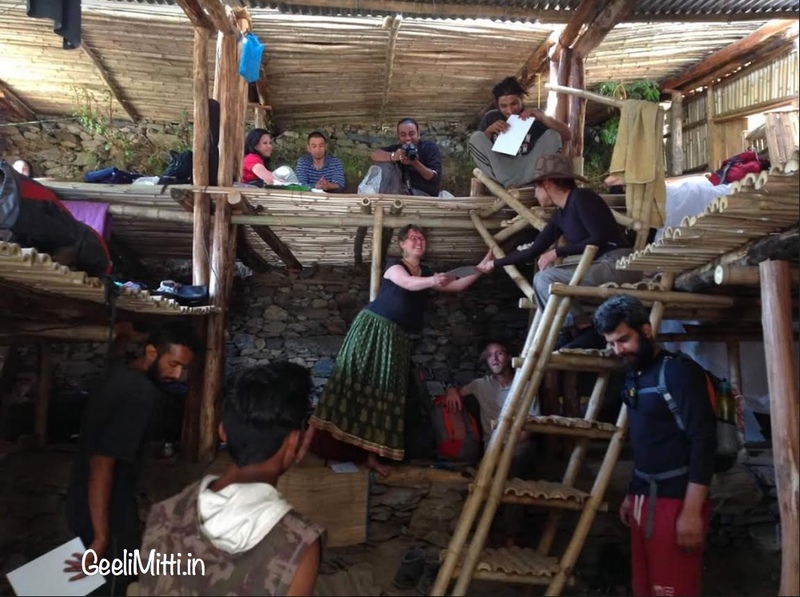 When you visit her website Geeli Mitti you’ll see how this one-woman army is single-handedly trying to revive all that and much more by working on also setting up a Permaculture Farm and an eco-community. Shagun showed us around each architectural masterpiece, all created through simple raw materials of clay, sand, straw, grass, old wood, bamboo and old glass bottles. She explained the logic and technique behind each earth home and it made me realise that these houses actually make more living sense than our concrete buildings. 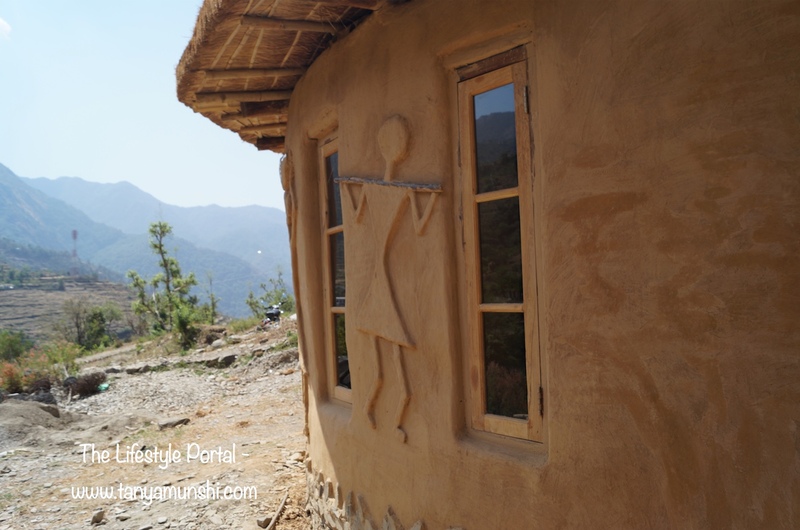 How the mud based houses can keep us cool during summers and warm during winters and breathe through high humidity – she showed the scientific explanation to passive design and naturally sustainable material use for everything that she and her team were building. Once you get to know the techniques and the logic behind these earth homes – be warned your perspective is going to change for the better. When you interact with her you will be able to gain far more knowledge. It was during our course of conversations did we realise that how with small lifestyle changes we can reduce our carbon footprint starting with composting our vegetable waste and even creating small kitchen gardens in our windowsills. Shagun’s optimism is truly contagious. For her, every challenge is an opportunity. 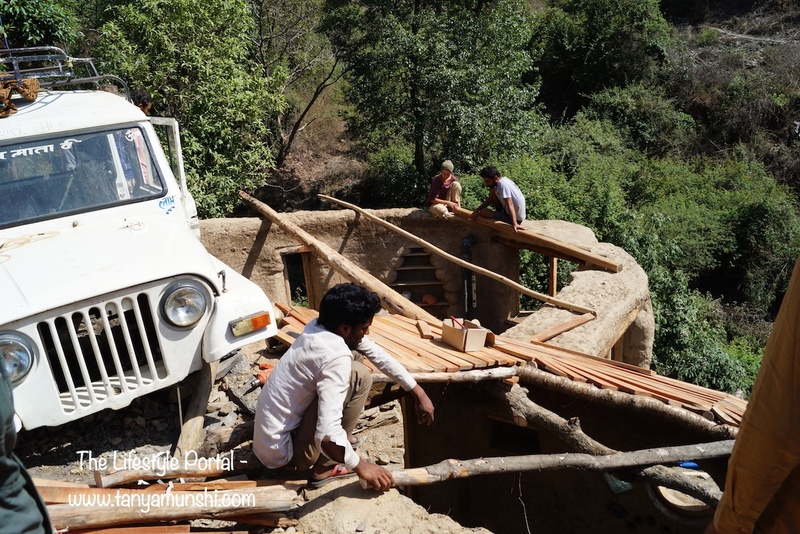 When she bought the piece of land up in Mahrora Village, people thought she was insane. They said, the land is mostly unfit for cultivation, she said, ok yeah, bring it on, I’ll build and cultivate on it and soon we will all learn how to as well. When people said who’d come to build these earth homes with you? 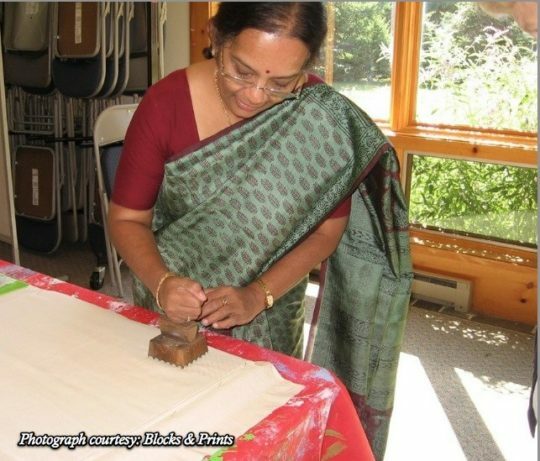 She opened up her base to volunteers and participants who came in from all parts of the globe to help her in her vision and what did she give back in return? She shared her immense knowledge about such homes, about square foot gardening, living roofs and more – just so that we can all live fuller happier healthier lives, be it by building energy efficient sustainable houses or growing organic food at all scales or preserving harvests or switching to herbal products that are healthier options both for us and the planet. So using the word ‘challenge’ here as you can see has been quite futile, as it just does not exist in Shagun’s dictionary. She’s primarily not against anything mainstream as long as it is not used beyond proportion. She’s just here to share her knowledge which people could use to lead a healthier, safer and a happier life. And that she did by starting with creating earth homes. We stayed in The Bamboo Loft that is created by bamboo, one of the sturdiest ingredients in building a house. 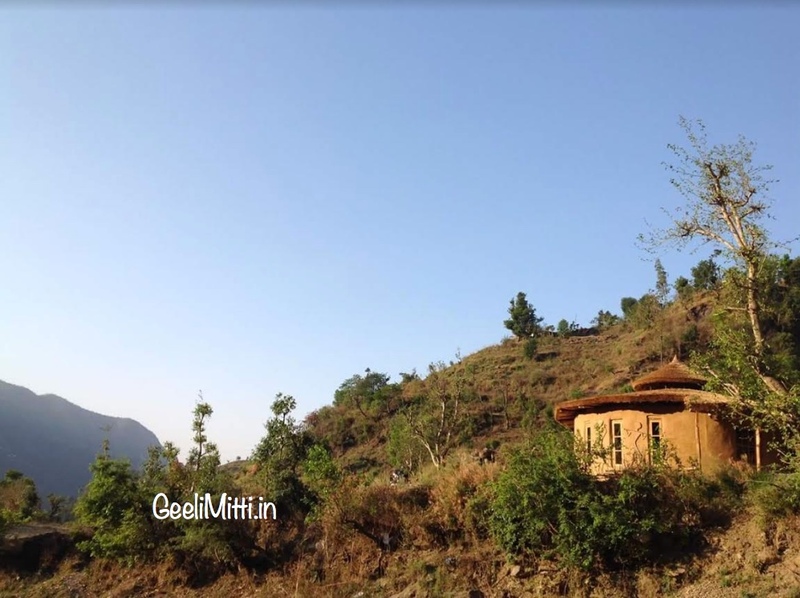 She’s living in her masterpiece creation, the Earthbag Golghar – created out of earthbags and sealed with clay and a beautiful reciprocal roof of thatch that’s a sight to be seen and experienced first hand. 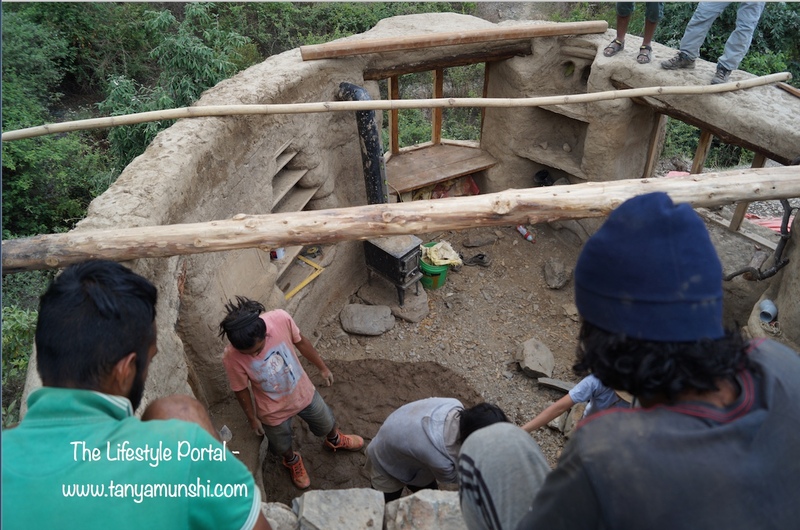 Currently, when we visited her, Geeli Mitti was working on the Cob Car Cottage – another style of handmade homes made with clay, sand, straw and old glass bottles to give it a more surreal effect. I was lucky to be a small part of it, where I pitched in with stomping wet clay, feeding it with soaked pine needles and tossing clay ball dough – all of which came handy in building the Cob Car Cottage. During my assignment there, I got to speak with all the participants and volunteers who have come from all parts of India and abroad. The unique aspect is that they all have found their way to Geeli Mitti organically – mostly through an Internet research, through referrals and the like. They have quit their well-paying jobs or are on a break realising how much more they could do – from an urban city planner to a high court lawyer to a writer to architects to urban couples – there were people from all walks of life – revisiting their roots back to earth and learning the ropes of sustainable living. During this time, some of the neighbouring villagers also lend their support to Shagun and as a result, there is now an eco-system. 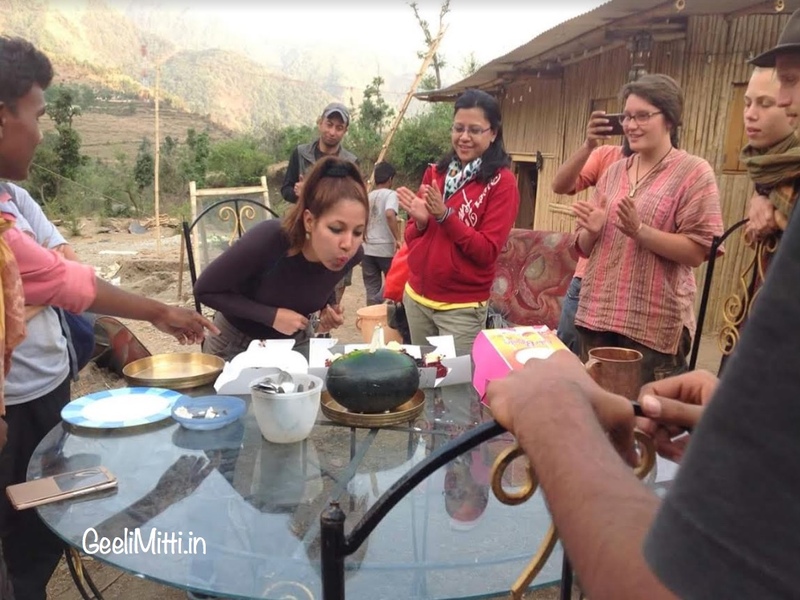 Shagun would spend months living in their homes when she was initially setting up Geeli Mitti and her love, affection and energy made the villagers come out of their cocoon and help her in her vision. 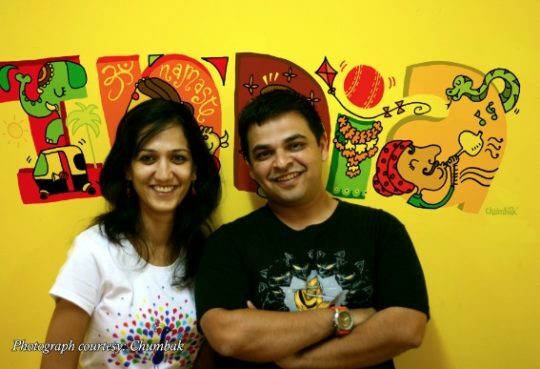 The sky is not the limit when it comes to Shagun’s perseverance, vision and enthusiasm. I can’t wait to see what more she plans to create and help spread the word of sustainable life and living through earthen homes harvesting and recycling water, growing food and creating opportunities for communities without harming the environment or us. I’m sure, the next time we go to Geeli Mitti we are going to experience a whole new dimension. With her warmth, hospitality, positive vibes and a no –nonsense attitude I have become a huge fan of Shagun Singh. Wow, This is so Cool Tanya &; Shagun! Way to go! Pat yourself from all of us & keep up the good work. Hope to join you even if to volunteer soon. Thank you so much for your encouraging words. Truly appreciate it.